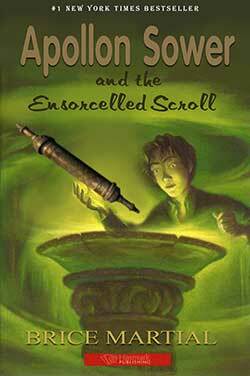 When an age-old secret concealed in the orphaned demigod – Apollon Sower, is revealed, he`s given a death sentence. Escaping for dear life, Apollon stumbles into a sinister adventure when he is spirited away to Purgate-Tree Paradise, a world brimming with souls and enchantments, before he`s thrust unto a deathly island, aided by mysterious companions. Running out of time, Apollon finds that to save himself, he must face his demons with the help of an ensorcelled scroll which could destroy his fears, kill him, or both.